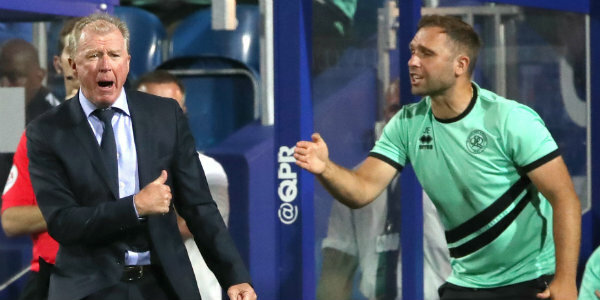 John Eustace has suggested there is little prospect of him getting the QPR manager’s job. Eustace has stepped up from the role of assistant boss to take caretaker charge following the sacking of Steve McClaren as manager. Tim Sherwood is director of football Les Ferdinand’s preferred replacement and there is also strong interest in Gary Rowett, Mark Warburton and Michael Appleton. Eustace has been asked to prepare the team for Saturday’s game at Norwich and insists he does not see it as an opportunity to establish himself as a contender for the manager’s job. “No. Definitely not. Les has asked me to help out until they find somebody else and that’s what I’ll be doing,” he said. “The club have asked me to help out until they find someone else to take the role. “At the moment all I’m thinking about is Norwich – it’s a big game, we’ve got lots of big games coming up, this week has been a tough week, and the last thing I’ve thought about is taking the job full-time. McClaren was axed after a run of 11 league defeats in 14 matches – a run which has left Rangers still not entirely safe from relegation. “As a group we’ve been disappointed with the results,” said Eustace.